WASHINGTON — Metro track inspectors and supervisors fired over what Metro called falsified reports following a preventable 2016 derailment will likely get their jobs back, following an arbitration panel’s ruling obtained by WTOP that vindicates the first worker to complete a challenge to his termination. “[Christopher Bell] was scapegoated by the authority for a widespread failing …to inspect pursuant to standards the authority now espouses but did not previously follow,” the decision said. It mirrors Federal Transit Administration and National Transportation Safety Board findings that inspectors were not properly trained and were not provided enough time to do their assigned inspections. WTOP reviewed a copy of the signed majority decision distributed this weekend, and Amalgamated Transit Union Local 689, who represented Bell in the grievance, later confirmed that version was accurate and official. Metro could still challenge the decision in federal court, but it would be unusual for a court to overturn the more than 60-page decision. If the 2-1 ruling stands, Bell would be reinstated to his job as a track walker but not his job as a supervisor, with full back pay and benefits. Metro did not immediately respond to a request for comment. The panel found that Metro’s practice for years was to do things in exactly the way Metro later described as falsifying reports, including leaving some of the same exact numbers on inspection reports month after month and year after year. “It was just the way that they were taught to do it,” Local 689 Second Vice President Raymond Jackson said the ruling confirms. Metro, and some experienced track inspectors, said numbers should have at least changed slightly if measurements were actually taken each time they were supposed to be done. One expert said the odds of the same precise measurements remaining month after month were the same as being hit by a meteor. Yet the panel found Metro had never rooted out a practice begun as official policy when the system opened in the 1970s that had inspectors only update measurements on monthly switch inspection forms if the new measurements were at least 1/8 inch different. If not, the same numbers were simply carried over from month to month and year to year. Annual re-certification tests gave inspectors credit if measurements were within 1/8 inch, but Metro said that was because the measurement devices used in training were less accurate than those used in the field. Even after policy changes in the months after the July 2016 East Falls Church derailment to record more specific results, measurements remained within 1/8 inch of each other at the rebuilt East Falls Church interlocking where the train had derailed. “The chair finds it more likely than not that [Track and Structures] and related departments knew of and were satisfied with the way Inspection was operating…. notwithstanding that such satisfaction proved to be misguided,” the arbitration ruling said. There was a “significant disconnect” between the stated standards for inspections and “undeniable, actual practices,” it found. Bell’s testimony shows a “misunderstanding, however fundamental, of the physics of the operation,” the panel said, but there was no evidence that he did anything deceitful or intentionally wrong. 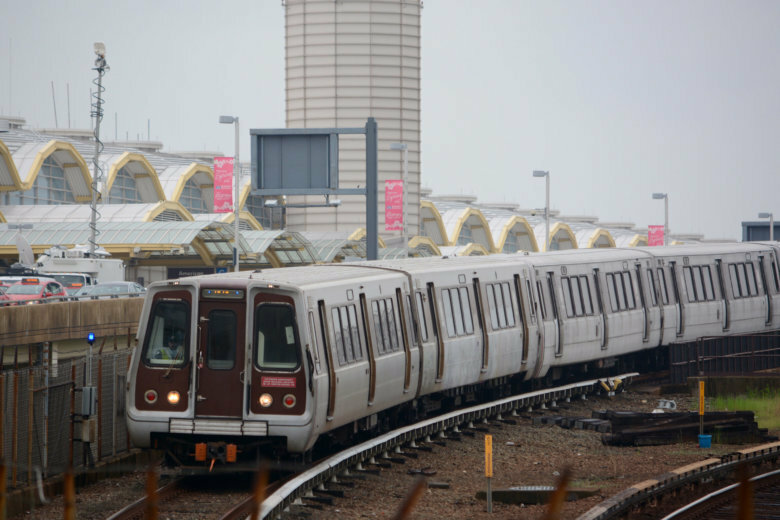 ATU Local 689, Metro’s largest union, said when nearly half of inspectors and supervisors (about 26 of 67) were disciplined in late 2016 that the workers were simply doing things the way they had been trained to do them, and the arbitration panel now agrees. Trap Thomas, one of the fired inspectors, had said that publicly shortly after he was fired. Bell had been hired as a track walker in 2008, and promoted to supervisor in March 2014. There was no real additional training for people promoted to supervisor at the time on how to oversee other workers or what their precise role was, the arbitration panel found. An engineering team was supposed to be tracking the inspection reports for trends, and a quality assurance team was supposed to provide additional oversight of inspections. There is “overwhelming evidence that neither Track Walkers nor Track Inspector Supervisors, prior to or at the time of the derailment… actually were trained to perform their jobs as the Authority now would have it,” were never held to a standard of noting actual measurements on monthly forms, and that Bell “has been scapegoated for top-down failings,” the arbitration ruling found. Inspection reports identifying problems, such as 15 deteriorated rail ties at the precise location of the 2016 derailment, were “constantly ignored,” Bell said. Problems would not get fixed, or fixed properly. In Metro management’s initial response to the derailment, they noted 12-14 buttery ties that had allowed tracks to slip too far apart — right where the inspection reports had reported 15 defective ties month after month, year after year. Bell’s termination letter acknowledged the problem had been reported over and over. “The records reflect there was a recorded defect on the Defect Database that was at the ‘Point of Derailment’ and another entry that was allowed to remain on the database since 2012,” the letter said. Bell had signed three of the inspection reports as a track walker in 2013 and 2014, and 11 as a supervisor in 2015, although Metro never made clear how frequently a supervisor was supposed to specifically check the work done by the track walkers. The forms were apparently never compared against prior months either. “The records, if reviewed by anyone interested in finding fault with them, were the equivalent of a double red-flag gale warning, never eliciting any response until the train literally hit the ground,” the arbitration ruling said. After the summer 2016 derailment, Metro changed inspection procedures to no longer provide the previous measurements pre-typed in on switch inspection forms, and retrained track inspectors to record the actual measurements they took. Some of those people who were retrained were still fired that December for forms found for switches elsewhere in the system, where information remained the same for months or years under the previous policies, the same issue that led to Bell’s firing, Jackson said. That is why he is optimistic that all workers will get their jobs back, with the opportunity to continue to follow the direction of Metro management. Some of the fired workers have lost their homes or their cars, and faced other financial difficulties over the nearly two years they have been fighting their discipline, Jackson said. “Mr. Bell was scapegoated, so when the public sees Mr. Bell and the lack of training that Mr. Bell received, what you got out of Mr. Bell is what you installed in Mr. Bell,” Jackson said. The new training and policies have led to changes in the information that is recorded on inspections, Jackson said, among other improvements. “But this is something that should have happened 27 years ago, you know, and we wouldn’t be having this discussion today,” he said. Still, the additional training and focus required to implement a policy Metro had put in on paper years ago demonstrates challenges for the agency in making any quick changes without dedicated follow through. “Sometimes, the truth hurts, but it’s the truth,” Jackson said. In the arbitration hearing, Donald Holfeld, a safety expert who signed off on a previous version of Metro’s track inspection and maintenance manual, said several hundred things were changed to be outside of federal standards in an intermediate update dated January 2015, just before the deadly smoke incident at L’Enfant Plaza. He is been hired again to fix the manual and add additional safety rules and updates. His training to record every minute change in the track setup was apparently ignored by everyone at Metro though, the arbitration panel said. Andy Off, Metro’s assistant general manager for rail, decided last week to leave Metro after seven years in various roles to become a consultant. Although that is likely more lucrative, it leaves additional improvements to whoever replaces him. He replaced Rob Troup in the role in 2016. Bell was fired after the summer 2016 derailment even after Off had told his subordinates to put the internal discipline process on hold pending a criminal investigation into the derailment and related inspection documentation. That investigation did not lead to any charges. “There is no evidence here of any criminal conspiracy to file fraudulent inspection forms; there is no evidence to suggest, much less prove, that Track Walker crews failed to perform their assigned tasks,” the arbitration panel found. Other workers were disciplined after that investigation was completed for similar consistent inspection reports found elsewhere in the system, with measurements that remained the same for months or years. Jackson emphasized that the arbitration result is a fair outcome that respected the rights of workers to clear their names from false allegations. He said he was so happy he cried when he read the ruling. “We knew it was a lie. We knew that upper management was covering for upper management,” Jackson said. The union had also challenged the firings based on what amounts to a statute of limitations for discipline from the time Metro learns of any issues, but the arbitration panel dodged that question in order to rule on the merits of the case. Bell is one of several of the fired track inspectors who separately filed a federal lawsuit against Metro over their firings. Metro similarly lost an arbitration decision related to a mechanic accused of falsifying tunnel test fan results that were reviewed after the deadly smoke incident near L’Enfant Plaza in 2015. Those tests did not impact the functioning of the fans during the incident. Metro unsuccessfully challenged that case in federal court. Jackson hopes the other grievances will be settled, based on this precedent. The neutral arbitrator, Andrew Strongin, wrote the majority opinion, with a concurrence from union-appointed arbitrator Paul Tyler. Metro’s appointed arbitrator, John Flood, apparently dissented from the decision’s refusal to rule on a technicality and the other portion ruling in favor of Bell. Strongin’s opinion acknowledged that any reinstated workers could be closely monitored to ensure they understand the new training they are provided and follow Metro’s new policies.